On an overcast dismal day 14 February 1973, after an inspection of Merry's hull, we signed on the dotted line for Adventure Under Sail. 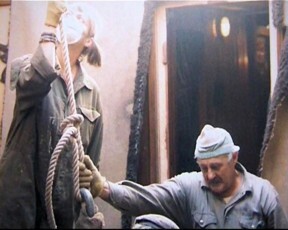 Merry had been under Bureau Veritas survey until 1968, when the last owner had decided to take her out of classification. In 1969 while icebound off Goteborg, a diesel oil heater overflowed and the after wooden section and deckhouse was burnt and destroyed. She was towed into Goteborg, and was then sold to a tug company to be cut down as a barge. We purchased basically a shell - the aft wooden deck and deckhouse had collapsed into the engine room, and during her layup period, the foc'sle had been set on fire as well. The only area with any noticeable rust and corrosion was in the chain locker. Merry had 2 collision bulkheads - one forward and aft, a bulkhead aft of the foc'sle and one forward of the engine room , giving her 5 watertight compartments. After discussions with Bureau Veritas, it was obvious that to put her back into survey would be an extremely costly affair. The surveyor kindly gave us past survey reports, and what plans he had - he would also come down and advise us on the rebuild of the after deck, frame sizes and stiffeners. We were lucky that after contacting Carl Lühring, a set of line drawings for 'Friedrich' (a new build No 15 in 1911). A sister ship was built that year - No 113 'Meta' - he same length and beam, but a different depth. Once the bill of sale was completed, Merry was transferred from the Swedish registry to a temporary British registry by the British Consul in Gothenburg. On arriving in UK measurements would be taken, and a tonnage certificate and a port of registry and name issued. 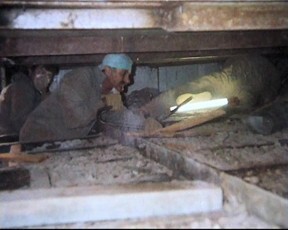 As work progressed in 1975-76 the ballast requirements needed to be calculated, which was done by a reputable company. They advised that we needed approx 70 tons of ballast to compensate for the rig and meet the stability requirements. The ballast was made up of 18 tons of Goteborg granite blocks, concrete sleepers with iron bars, and tons of blue metal chippings. This was placed on the cargo ceiling boards, and below the cabin soles throughout the main hold. As the ballasting was progressing, another watertight bulkhead was added to divide the lower saloon and the accommodation. Prior to our sailing, all was very vague concerning sail training ships. There had not been a sail/passenger ship since the early 1900's, and if you carried over 12 passengers, you were then classed as a passenger whip, requiring a Doctor, extensive lifeboats, etc. Added to this there was a long legal battle going on regarding getting people to pay as crew, as this was classed as 'hire and reward', which then became a different category again. On departing Ramsgate in October 1976 the authorities were happy with our stability, and our safety equipment and manning levels had to comply to a Class 11 sailing ship. In the early 1970's, the first purpose built sail training vessel in the UK, the 'Winston Churchill' was built, and a new set of standards was applied to new vessels. 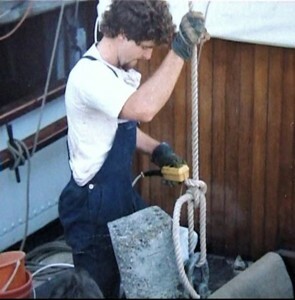 We continued in our yearly surveys and manning requirements, until June 1981 when berthed in Southampton, we were summoned by the local Dept of Trade and Industry surveyors for an out of water survey, and on inspection of hull, we were issued with a Load Line exemption certificate. A survey was carried out each year, either by a DTI surveyor, or one appointed either by Lloyds or the Australian Department of Transport. In June 1984 the 'Marques'sank whilst competing in an ASTA Tall Ships Race from Bermuda to Halifax. On the first night at sea, she was struck and bowled over by an intense white squall (microburst). She sank in a matter of minutes, with loss of life - both permanent crew and international trainees were trapped below deck. Detailed reading can be found in the book 'Tall Ship Down' written by Capt Daniel S Parrott. This book researches in detail the history, background and eye witness account of vessels that suffered similar fates - the Pamir in 1957, Albatross 1961, Marquees 1984 and the Pride of Baltimore 1986. In early 2000 another vessel was lost - the Canadian Sail Training ship, 'Concordia' off the coast of Brazil. Eventually a court of enquiry was demanded after the matter was mentioned in the House of Lords. Numerous questions were asked on the manning levels, qualifications of the crew, the stability and seaworthiness of the vessel. During the enquiry, Eye of the Wind was mentioned as we were the first non purpose-built sail training vessel to be classified for sail training in the UK. In March 1987 Eye of the Wind was voyaging around Tasmania in the roaring 40's . We had completed a Tasmanian survey to operate in their waters, as well as hauling out for a hull, safety and engineering survey carried out by the Australian Commonwealth surveyors on behalf of the British Department of Transport. 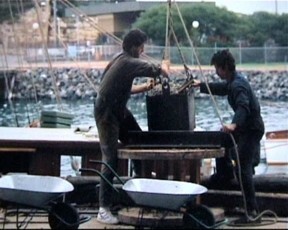 On completing a day of filming in Adventure Bay, we were met on the wharf by the 2 surveyors who had carried out the DOT survey and were advised that we would have to undergo an immediate survey and inclining test to prove that the vessel could reach the new standards which had been implemented after the Marques enquiry. This specified that existing vessels had to reach 80 degrees and new vessels 90 degrees knockdown. Also consideration was taken to all deck access openings to below. We were told that we could not carry fare paying trainees until the standards were met. With the crew, we sailed to Sydney to commence the process, which eventually took 4 months. We had to prove that the drawings we had received from Lührings were in fact of Eye of the Wind. This involved us going to the naval floating dock at Garden Island and the lines were taken. At this stage, 2 naval architects were employed - one to do a set of drawings, and the other to crunch the numbers to ascertain how we could achieve the 80 degrees required. Re-ballasting became our preferred option as we did not want to lose the squares. Removing the existing 70 tons of ballast made up of granite blocks, railway sleepers and granite chippings was carried out by crew and volunteers. 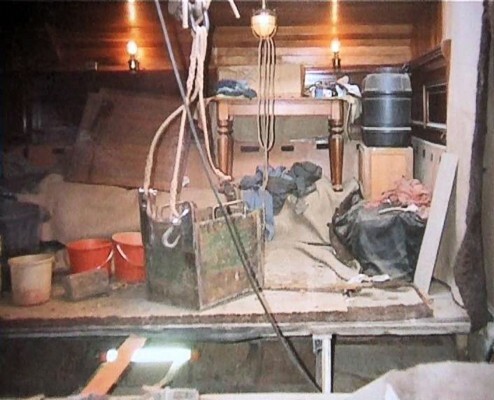 This all had to be done without destroying the cabin soles, and was an exhausting and back-breaking job. On the removal of all the ballast another inclining test was done and all the shell plating and internal floors were needle gunned, sand blasted and painted with tar apoxy. 40 tons of lead ingots were purchased from the Alma Doepel in Melbourne, plus another 5 tons of lead from a mine sweeper that was being broken up. The rest of the required ballast was made up of pig iron and 15 tons of railway lines cut to fit between the frames. A barrier was laid and the ballast placed on the shell plating. Each bay had to have a specified amount of weight which had to be mathematically calculated. After many months of relentless dirty and back-breaking work, an inclining test was carried out at 2am at No 9 wharf, Walsh Bay, Sydney. Conditions had to perfectly calm with the vessels mooring lines slackened away, and all weight on board taken into consideration - including the weight of the crew aboard. The inclining test was done by Australian Commonwealth surveyors, supervising the moving of the weights and compliance of the procedure. To our great relief, we achieved above the 80 degrees. Unfortunately we had to cancel o whole Pacific season, which was a huge financial loss as we were nearly fully booked. Luckily we were able to join the First Fleet re-enactment in Fremantle, which allowed us to recoup a substantial amount of the outlay the project had cost us. As occurred during the whole time we owned the ship, crew, voyagers and volunteers provided a skilled and loyal workforce, without whose efforts and commitment we could never have continued operating the vessel. On completion of the re-ballasting the DOT UK determined that one of their surveyors should do the next survey, and was flown out from the UK - of course he had to travel business class, the costs for which were borne by the ship. In 1991 Eye of the Wind and Soren Larsen commenced 'Homeward Round the Horn' - sailing via Cape Horn to Europe to participate in the Columbus Grand Regatta. Whilst in Lisbon both vessels were hauled out and EOTW was surveyed by a UK DOT surveyor who was based at Hull, and had prior experience with iron and steel fishing vessels. On his recommendation, we only needed to be surveyed once every 2 years, when we could then apply for a load line exemption. This continued bi-annually until 1999, when a set of new rules was formulated for super yachts and sail training vessels. On the ship's load line exemption being due, no further exemptions would be issued. The vessel had to comply by the new load line survey regulations. This was involved fitting an additional watertight bulkhead in the forward accommodation area, just aft of the foremast, to pass one compartment flooding. Numerous new safety requirements including many fire sensors, new life jackets and a new fire system for the engine room were installed. Initially the survey was a fixed fee, but from that time on the surveyor charged an hourly rate of Stg75 from the time he left his office in Cardiff. His most notable comment as he proceeded across the gangway was that vessels like this should either be in a museum or on the scrap heap. He had spent most of his career on oilrigs in the North Sea. On completion of the bulkhead and all the other work, an inclining test was carried out whilst floating in the drydock and the new targets were met. 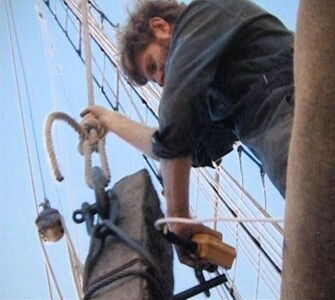 Many wooden sailing vessels, as their load line exemption ended, were then forced to seek flags of convenience as they did not have the watertight bulkheads to comply with the new rules. This has resulted in many of them only being able to operate in sheltered waters. Operating has become more difficult for older sailing ships over the years, as trying to incorporate new technology and regulations is very difficult to retro-fit. From a crew point of view, gaining deep sea sailing time has become harder, and the cost of acquiring qualifications has become exorbitant, which obviously impacts everyone wishing to have a career on traditional ships. For further information you might like to read 'Tall Ship Down' by Capt Daniel S Parrott and 'A Square Rig Handbook' written in 1992 by Frank Scott, which has a small section on stability and dynamic stability and knockdowns.